Just like our everyday experience about the bicycles stolen on the streets. Later, those incidents emphasize us to carry heavy bike locks, happened to professor Neil Barron also. He is a former Aeronautical Engineer designer and keen cyclist. Out of these bicycles stories, Barren thought to design a high-security, lightweight bike lock. Earlier the bike locks available on the market were inflexible, awkward to carry, tricky to use, heavy, and corrode. 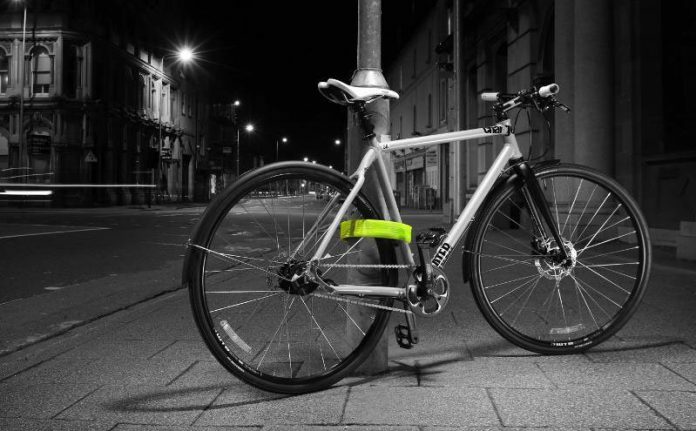 A team of tech-savvy have developed a bike lock called Litelok Silver. It does not only address the problems with conventional bike locks but also has added new features. Unlike other rigid U and D bike locks, Litelok Silver is more flexible and allows more places to lock your bike around. It has secured the highest security rating as tested by Sold Secure. You can quickly and easily lock up your bike with just a click to lock system. Keys only utilized to open Litelok. Join two Liteloks for double length. Also, you can use it separately for double security. It is fast and easy to use. Litelok Silver is made from hardened aerospace grade steel alloy which is forged from molten metal at over 1700 degrees Centigrade. It is almost impossible to break a Litelok Silver through twisting it with a tool like a crowbar or a tire iron. However, it could cause serious injury to anyone who tries. The moment you turn the crowbar or tire iron in a Litelok Silver, energy builds up within the tensioned Boaflexicore material. It will spring back and unwind rather violently if you let go. Even with super sharp blades, bolt croppers will struggle to cut through the Boaflexicore strap. It will take a cutting load of 148 kN (33,000 lb). That is equivalent to the weight of an F-18 Hornet fighter jet, pointed through a sharp point. Which is very much to deal with.